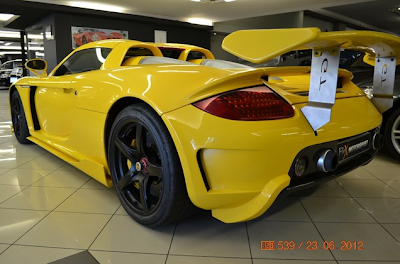 When the Porsche Carrera GT came on the market in 2004, it was considered by many as a truly spectacular supercar.. and still is! 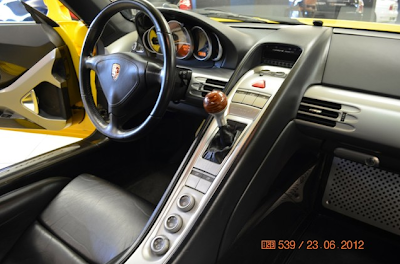 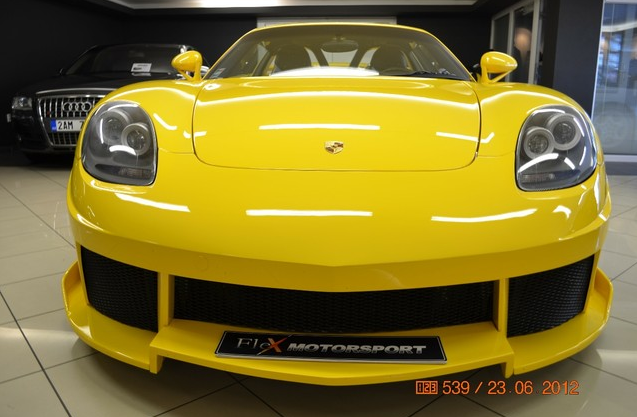 The 10 years old design looks so fresh and clean, the sound and the power of the engine make this car so perfect that it's not necessary to change even a tiny bolt on this german masterpiece, and that's why this yellow Porsche Carrera GT might be a blasphemy. 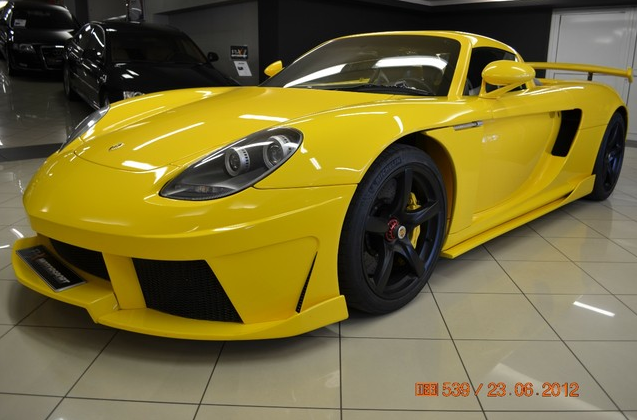 For 259.000€ you can bring home this custom GT with 26.100km on the odometer and fitted with a bodykit produced by austrian company Koenigseder. The company announced the bodykit for the Carrera GT in 2008 and this is the first time that I stumble upon one of those! 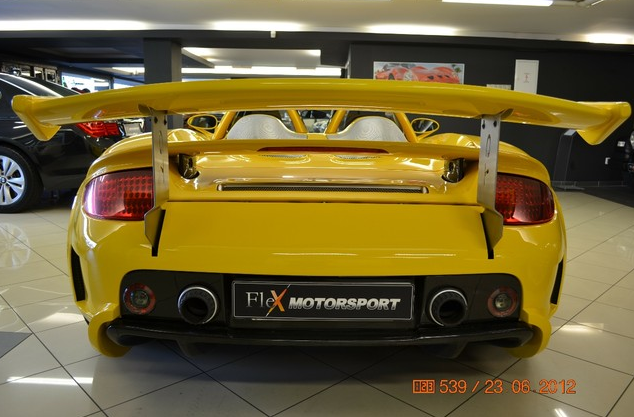 The 32.000€ tuning package includes a set of new side skirts, a more aggressive front bumper and a back bumper with a massive wing. The mighty 5.7L V10 hasn't received any modifications and produces 612hp and 590nm which is enough to offer stunning performance (0 to 100kph in 3,9s and a top speed of 330kph) also for the standards of today, if we come and check out the interior we may notice that no modifications have been applied.